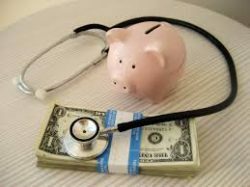 Home › Methadone Maintenance Treatment Resources › Is There Support for the Cost of Methadone Treatment? But what about patients who need help paying for the everyday expenses of treatment. Is support available for this cost? Because of these reasons, a person who is already struggling financially may decide to take another route to their treatment or attempt to quit opioids without attending treatment at all. But with the high rate of success that methadone has shown and the dangers of opioid addiction, cost should not stop potential patients from attending methadone treatment. Insurance policies, government programs and clinic support can help you pay for your methadone prescription. There are many ways in which an individual may find support for the cost of methadone treatment. Treatment facilities exist all across the United States where patients can receive methadone at either a fraction of the original cost or no cost at all. According to SAMHSA, both all free and partial-free facilities can be found in many areas where the need is high, and other facilities also exist which offer “some type of payment assistance,” including a sliding fee scale that allows patients to pay in smaller increments. According to the NIJ, opioid treatment programs “are subject to specific and strict regulations when using methadone to treat opioid-addicted patients.” This means that many of these facilities often nonprofit or receive assistance from the government as well, which is why some are able to provide treatment at a lower cost. You may also be able to find support for the cost of methadone through your insurance policy. The Affordable Care Act “includes substance use disorders as one of the ten elements of essential health benefits,” and you could be eligible for low-cost coverage which may include methadone treatment (ONDCP). In addition, you may be able to find help with the daily costs like driving or daycare from other individuals in your life. Transportation services may be provided by the facility or by support groups in the area. A friend or family member may even offer to watch your children, or there may be a free service for this available at the clinic. There are many ways in which you can receive support for the cost of methadone treatment, which is why you shouldn’t allow the expense to discourage you from seeking treatment. Methadone is one of the most beneficial treatment methods for opioid addiction, and finding support for the cost can be one of the initial steps to a better life.